temporary injunction Archives - В сложной финансовой ситуации приходит на помощь кредит наличными в Казахстане. “An order on a motion for temporary injunction entered by a trial court must be based on  the likelihood of irreparable harm,  the unavailability of an adequate remedy at law,  the substantial likelihood of success on the merits, and  considerations of public interest.” XIP Technologies, LLC v. Ascend Global Services, LLC, 43 Fla.L.Weekly D1850a (Fla. 2d DCA 2018). A trial court’s order granting a temporary injunction must contain clear factual detail to support each of these four prongs. Id. A trial court has discretion to grant or deny a motion for temporary injunction. Its discretion, however, is not absolute and will be reviewed under an abuse of discretion standard of appellate review. It will be deemed an abuse of discretion if an injunction is issued where the moving party has an adequate remedy at law or there has not been strict compliance with the factual detail needed to support the injunction. In XIP Technologies, LLC, a defendant provided software that allowed the plaintiff to accept credit card payments from its customers and tracked all customer information, transactions, and purchases. Due to a dispute, the defendant stopped transferring credit card payments to the plaintiff, stopped providing the plaintiff the tracked customer data, and stopped accepting credit card payments from the plaintiff’s customers. The plaintiff stopped paying the defendant the required monthly fee for the software. The plaintiff sued the defendant and moved for a temporary injunction that, among other things, required the defendant to pay the plaintiff the withheld credit card payment amounts, provide the plaintiff the tracked customer data, and continue to accept credit card payments from the plaintiff’s customers. The trial court granted the injunction. On appeal, the defendant argued that it was wrong to order it to pay the plaintiff the withheld credit card payments because that payment constitutes an adequate remedy at law and injunctive relief is only when a party does NOT have an adequate remedy at law. The appellate court agreed: “If indeed XIP [defendant] is determined to be in breach of the parties’ contract, Ascend [plaintiff] will have an adequate remedy at law in the form of damages to replace the withheld revenue. Because damages are available, there is no irreparable harm.” XIP Technologies, LLC, supra. The appellate court, on the other hand, found that injunctive relief could be appropriate relating to the customer data and refusal of the defendant to continue to process credit card payments of the plaintiff’s customers. However, the trial court’s order was insufficient in that it did NOT contain sufficient factual detail supporting all of the four prongs to justify the issuance of a temporary injunction. 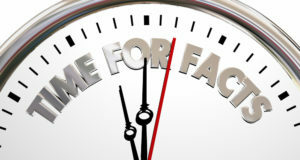 In particular, the trial court’s order did not include factual detail regarding requirements 3 (the substantial likelihood of success on the merits) and 4 (considerations of public interest). For this reason, as to these issues, the appellate court remanded back to the trial court to enter a temporary injunction as to these issues “but only if it includes the required findings as to each of the necessary four prongs.” XIP Technologies, LLC, supra. Florida’s Uniform Trade Secrets Act is contained in Florida Statutes Chapter 688. 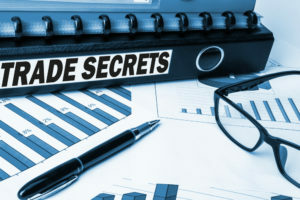 This Act authorizes courts to take reasonable steps to preserve the confidentiality of trade secrets including ordering injunctive relief to prevent a party (such as a former employee) from misappropriating trade secrets. Norton v. American LED Technology, Inc., 43 Fla.L.Weekly D951a (Fla. 1st DCA 2018). However, as confirmed by the First District in Norton, Florida’s Uniform Trade Secrets Act cannot be used as a sword to restrict or stifle direct competition. In other words, it is improper for a trial court to issue a temporary injunction restricting direct competition based on Florida’s Uniform Trade Secrets Act. Norton, supra. Please make sure to consult with counsel if you have an issue dealing with trade secrets or the preservation of the same. This includes your rights when you believe a party is misappropriating your trade secrets.